Amen to that! This is actually one of my favorite images that I have seen recently. Even people who aren’t huge procrastinators can certainly relate to this. 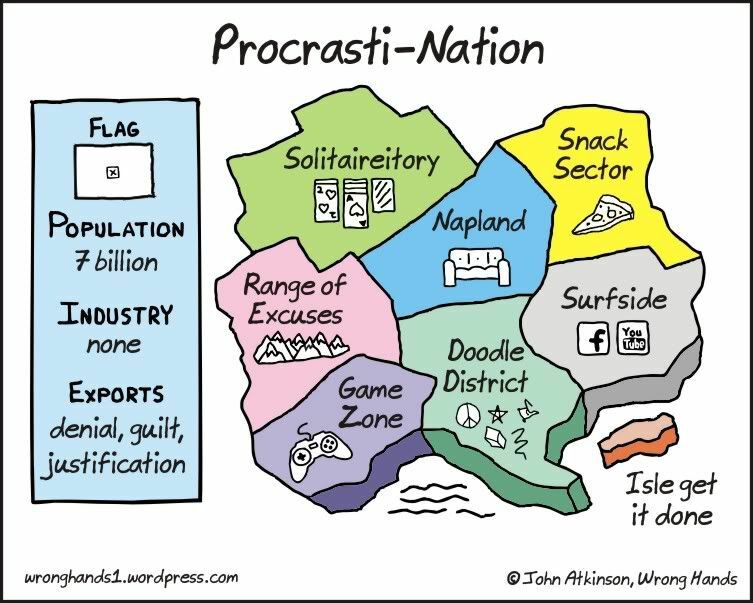 But a true procrastinator has travelled the world 10 times over….daily. I love the “Isle get it done” especially. Hehe.